The actual title of this dish, from Curtis Stone's cookbook What's For Dinner? 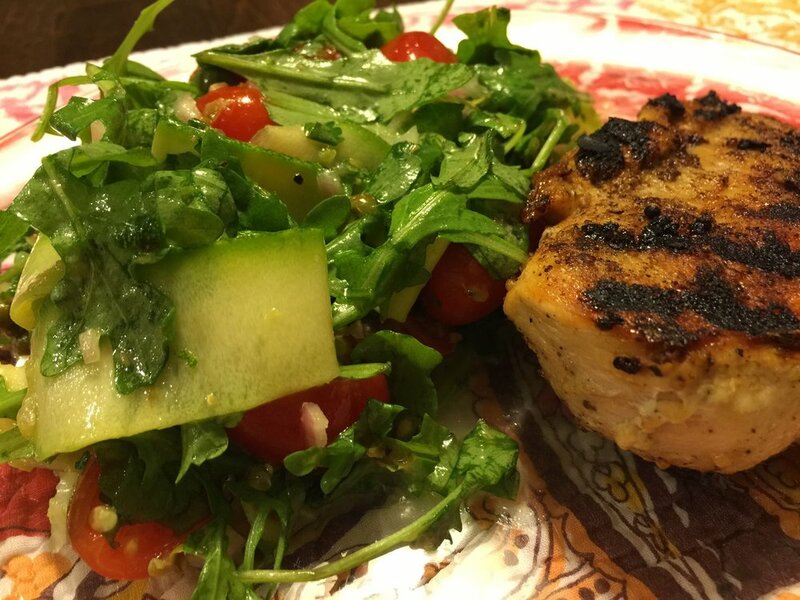 was Grilled Chicken with Arugula and Zucchini Salad with Lemon-Caper Vinaigrette. I shortened the title here simply because it was just a lot of to say; even though the vinaigrette itself was equally a star along side the chicken and the salad.